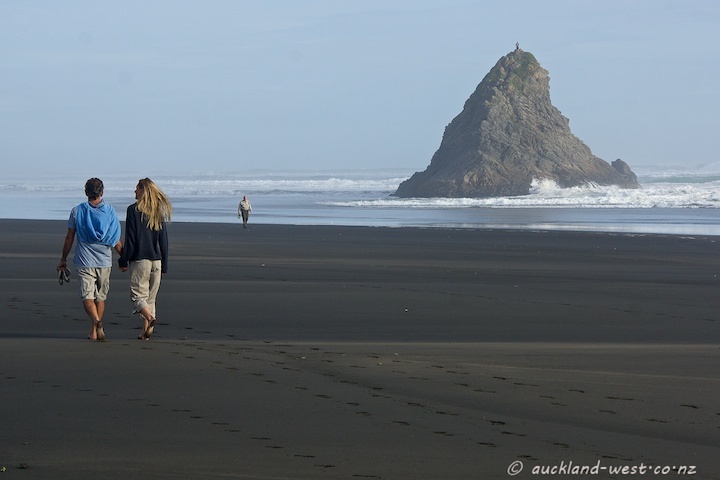 We went for a little walk along Karekare beach yesterday, mild with a mellow sun and plenty of sea haze. Panatahi Island is a rocky outcrop about 170m high, accessible at low tide. When we were there (about halfway towards low tide), this fellow stood right up there, enjoying the view. I wouldn’t mind having a go at that!